There is no finer way to bring beauty and sophistication to someone's life than with a Luxury Arrangement from Flowers Peterhead. 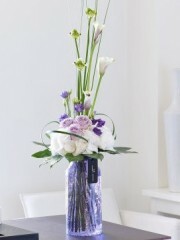 Here at Florists Peterhead we work hard to bring you only the very best of the best. Our luxury flowers here at Flower Delivery Peterhead are perfect for all settings and occasions, whether it's as a special gift for a good friend, or to brighten up a workplace, or to add some luxury to your beautiful home you can be sure that a luxury arrangement from Flowers Peterhead is exactly what you need. Our bouquets and arrangements are all made up by our expert florists who are hard working and enthusiastic and love creating our beautiful Florists Peterhead luxury bouquets for you to enjoy. 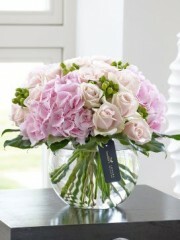 Here at Flower Delivery Peterhead we use only the best flowers available to florists. All of the flowers we use here at Flowers Peterhead are imported from Holland where the highest quality flowers are grown. The flowers from the Netherlands are some of the most beautiful in the world, so they make all of our bouquets and arrangements here at Florists Peterhead look absolutely stunning. What's more the flowers are sent directly to our Flower Delivery Peterhead shop to ensure that they are as fresh as possible. Flowers Peterhead is focused on bringing you bouquets and arrangements which consist of only the best flowers which are as fresh as they can be. You will never be disappointed with a bouquet from Florists Peterhead. Here at Flower Delivery Peterhead we make treating your . loved ones as easy as it can be. 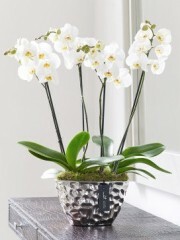 With Flowers Peterhead there's absolutely no hassle and we have everything you could ever need. Along with flowers you can send a number of small gifts including adorable teddy bears, delicious chocolates, balloons for all occasions, wines and champagnes. Here at Florists Peterhead what makes us so fantastic is our brilliant delivery service. If you find yourself busy and unable to deliver your flowers yourself then we at Flower Delivery Peterhead can do it for you. 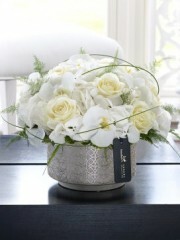 Six days a week we can get your flowers to wherever you need them to be. What's more we can deliver your flowers on the very same day you place your order, provided the order is placed before 3pm. 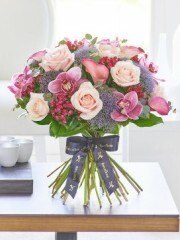 Our same day delivery service here at Flowers Peterhead is excellent and a great service tailored just for you. 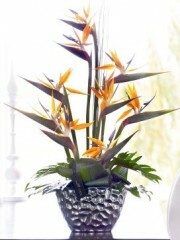 We at Florists Peterhead are a part of a trusted, international network of florists called Interflora. Thanks to this it means that with us you can send flowers to 140 different countries all over the world. Treating distant loved ones with beautiful and fantastic flowers is at its very easiest with Flower Delivery Peterhead. 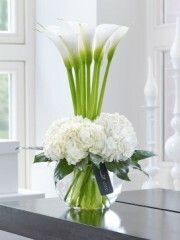 No flower delivery service is as good as the flower delivery service at Flowers Peterhead. Here at Florists Peterhead we are dedicated to our customers and providing only the finest bouquets and arrangements possible, you will never be disappointed with flowers from Flower Delivery Peterhead. Our flowers here at Flowers Peterhead make wonderful gifts for all occasions, but they also make great decoration for big events too. We have a beautiful wedding collection, for example. Here at Florists Peterhead we do decorative arrangements of all kinds,such as flowers to wear and beautiful table centerpieces. 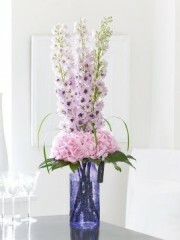 No event is complete without flowers from Flower Delivery Peterhead to make it look stunning. Here at Flowers Peterhead we have 40 years of experience in the flower industry so you know that your flowers are in the best hands with Florists Peterhead. 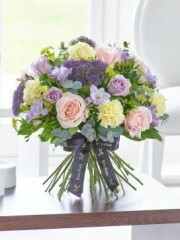 If you have any queries then feel free to contact us here at Flower Delivery Peterhead by phone or email.